Situated in Dandenongs, this motel is 1.5 mi (2.5 km) from 1000 Steps Kokoda Walk and within 6 mi (10 km) of Puffing Billy Steam Train and Sherbrooke Forest. Dandenong Ranges National Park and Westfield Knox are also within 6 mi (10 km). Upper Ferntree Gully Station is 14 minutes by foot and Ferntree Gully Station is 16 minutes. Situated in the historical district, this spa hotel is within 1 mi (2 km) of National Rhododendron Gardens and Dandenong Ranges National Park. Alfred Nicolas Gardens and Monbulk Winery are also within 6 mi (10 km). 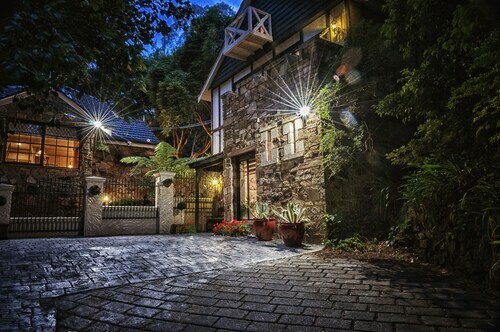 Situated in Mount Dandenong, this luxury cottage is within 3 mi (5 km) of SkyHigh Mount Dandenong, Olinda Falls, and National Rhododendron Gardens. Dandenong Ranges National Park and Sherbrooke Forest are also within 6 mi (10 km). 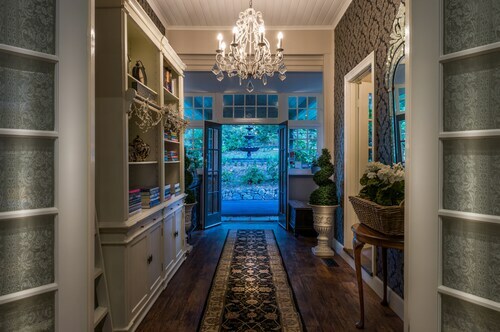 Situated in Mount Dandenong, this luxury country house is close to Dandenong Ranges Botanic Gardens, Dandenong Ranges National Park, and SkyHigh Mount Dandenong. Also nearby are National Rhododendron Gardens and Olinda Falls. 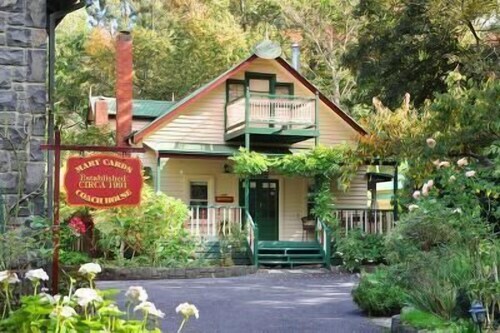 Situated in Dandenongs, this luxury bed & breakfast is close to Grants Picnic Area, Sherbrooke Forest, and Alfred Nicolas Gardens. Local attractions also include Puffing Billy Steam Train and Dandenong Ranges National Park. 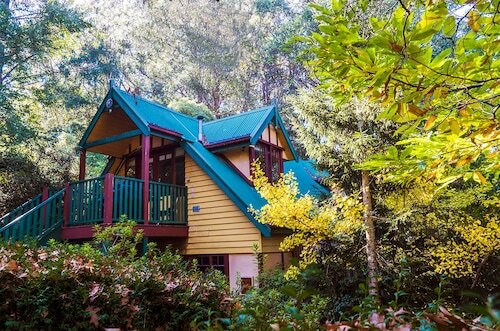 Situated in Olinda, this luxury cottage is 0.8 mi (1.4 km) from National Rhododendron Gardens and within 3 mi (5 km) of Dandenong Ranges National Park and SkyHigh Mount Dandenong. Cloudehill Nursery and Gardens and Olinda Falls are also within 3 mi (5 km). Positioned 35 kilometres to the east of the city lights of Melbourne, the capital of the state of Victoria, you can find the interesting district of Dandenong Ranges. Melbourne is where you can find many famous places to see, including the Crown Casino and Entertainment Complex, Federation Square and St. Kilda Beach. Want to experience the best of Dandenong Ranges? Dandenong Ranges National Park is a great way to pass the time. The sea of blossoming flowers on display at National Rhododendron Gardens are certain to put a smile on your dial. 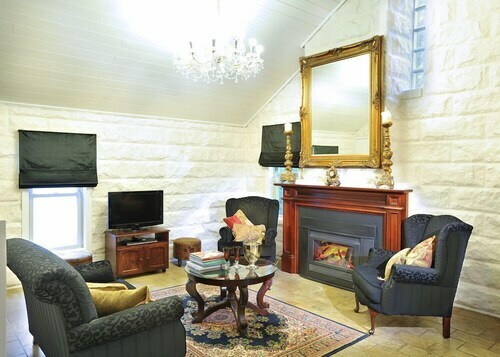 The Lochiel Luxury Accommodation and Candlelight Cottage are handy if you'd like to rest your head nearby. On a lazy day, spend some time walking around Grants Picnic Area. Try the Moulton Park Cottages and Clarendon Cottages to be close to this spot. 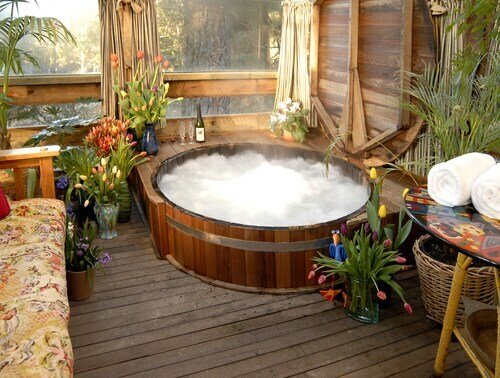 Do you want to spoil yourself in Dandenong Ranges? Have a squiz at the Adeline Bed and Breakfast and Arnica Views. Does it take you a while to get going in the morning? Don't worry, there's a mix of terrific cafes in Dandenong Ranges. A steaming hot coffee and cake at Grants On Sherbrooke is the perfect way to jumpstart your day. If a snack isn't going to cut it, go and peruse the impressive menu at Dudley's. There's something for everyone at this well-patronised eatery. If you wouldn't say no to a drink or two before you call it a day, why not swing by Mt Dandenong Hotel? Who knows, the bartender might even have some tips on what you can do tommorow! 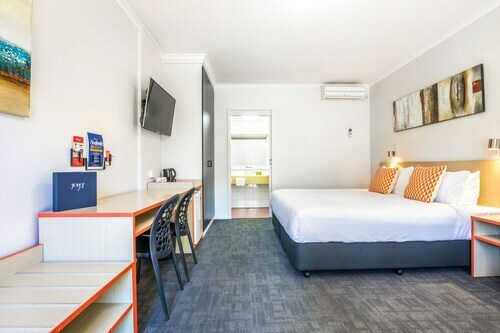 If you and your family can't find the ideal Dandenong Ranges hotel deal, look at the lodging options in Olinda and Sassafras. It doesn't matter if you're just looking for accommodation, or the whole shebang including excursions, car hire and flights, Wotif has got your back in Dandenong Ranges. How Much is a Hotel Room in Dandenong Ranges? 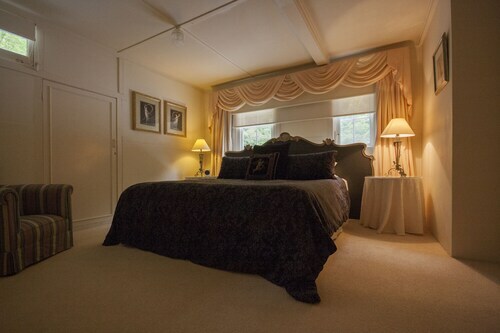 Hotels in Dandenong Ranges start at AU$90 per night. Prices and availability subject to change. Additional terms may apply.